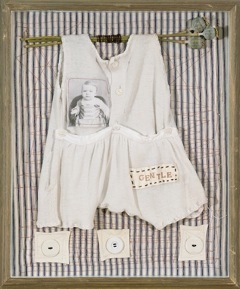 Next week, Nancy Canyon, Susan Erickson and I will show collage and assemblage artworks at the Loomis Hall Gallery. We hope you can join us for opening night on Friday, October 8 from 6 to 9 pm. The Loomis Hall Gallery in an exciting new space that was once an opera house… in Blaine. The building is freshly remodeled, and houses artists’ studios and a gallery. The gallery is located at 288 Martin Street, Blaine, WA 98230. Other local artists who will be showing work include Steve Satushek, Whitney Krueger, James Williamson, Scott Worden, Art Hohl, Katie Johnson. This show runs through October. Ms. Canyon grew up in Spokane where she began her lifelong love of collage, painting, writing, and dancing. Her formal art studies include painting, pottery, and illustration through Spokane Community College, Yakima Valley College, and with painting instructors such as Charles Palmer and William Elston. She studied Visual Communication at NW College of Art. She holds the MFA in Creative Writing from Pacific Lutheran University. In her Fairhaven art studio, located in the Morgan Block Building, she paints and teaches writing and multi-media classes. To view more of her artwork, go to www.nancycanyon.com. 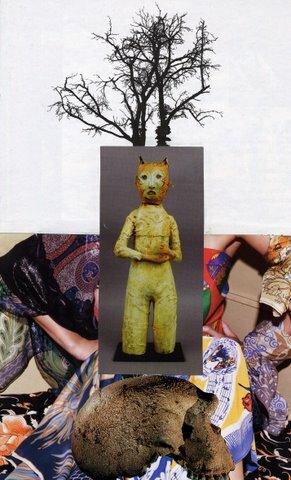 Playfulness, whimsy and the surprise juxtaposition of elements show up in Susan J. Erickson’s assemblage and collage work. She will exhibit pieces with baby clothing and vintage photographs, items collected from nature, repurposed objects, a group of fabric Renaissance potholders and a series of altered bingo cards. I’ve belonged to the Pacific Northwest since birth. My art is composed from a solid passion for the nature, language and culture of this area. I enjoy creating assemblages by combining found objects from nature and technology, which together describe the current Western Washington environment. The inspiration for some of my assemblages comes from my father, who was an electrical engineer. 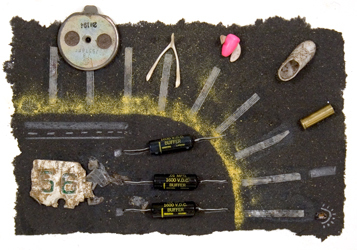 The objects used in my assemblages vary greatly, and include resistors and capacitors from sixties electronics, evergreen pollen, jewelry parts discovered on a well-traveled road, wasp nests, bullet casings from the North Fork trails, snake skin, computer components, insect wings, pieces of printer cartridges, license plate parts, bird bones, feathers, egg shells, fishing lures, toys found in the dirt a decade after my kids lost them, and the carapaces of dragonflies. I made paper with cottonwood and cattail fluff, flower petals, ants—and the list continues. I put the assemblage parts together like I write poems, balancing one part with another, adding rhythms and texture, ripping pieces in half, starting over. But metaphors run through it all, and help to decide what stays and what goes. Things that don’t normally go together often end up supporting each other in the artworks. Sherwin Bitsui isn’t exactly a Pacific Northwest poet, but he read with Sherman Alexie at Elliott Bay Books in August. He also has a connection with James Bertolino. As a judge for the American Book Award this year, Jim chose Flood Song, which is Sherwin Bitsui’s second book and comes from Copper Canyon Press of Port Townsend. So he does have ties to the northwest. Sherwin Bitsui’s book Flood Song can be experienced as a constantly shifting single poem, or as a rich gathering of individual poems. There are no set borders between the physical details of his world and his capacious imagination, just as his language both deeply honors and leaps beyond his Native American culture. Bitsui’s vision encompasses many versions of beauty. I’m grateful this book exists, and that’s why I chose it for a 2010 American Book Award. and wraps it with strands of neon vapor. when lathered with a blur of red bricks. When you’re through reading this poem, you get it, even though you may not understand all the details. Take another look, and it’s possible to understand the details, too. If you read one of Bitsui’s poems as if it were arithmetic, you might come away breathless. By the time you get to the end of a poem, the accumulation of cultural references, nuance and plain speaking, have the effect of leaving one out of breath, or with that strange feeling of semi-asphyxiation. And what about that verb “pillboxes?” What happens in these poems is the same thing that happens when a fist-sized snowball rolls to the bottom of a hill… there is an increase in mass that is wonderful to watch, yet has terrible uncontrollable thrust. The cultural references are sometime obvious, sometimes not, but Bitsui often refers to both the contemporary and the historical at the same time, which is something that can make a lot of sense in poetry. A great novel creates a suspenseful experience, where the reader just can’t wait to get at the next chapter. In Bitsui’s poems, this exhilarating suspense is so condensed, it happens between words. The enjoyment of reading Bitsui’s Flood Song, isn’t just between the lines. For more information about Sherwin Bitsui, go to his website: www.bitsui.com. * Dinétah is the homeland of the Navajo. Jim and I have read many poetry books, magazines and single poems out at our Noon Road pond where the dark water and the reflections of trees and sky mingle with fallen leaves and water lilies. Sometimes the water moves like it’s alive, sometimes a fish jumps, a dragonfly hovers nearby, or a chorus of frogs starts up. There is no better place to read poetry. Karen Bonaudi’s chapbook fit exceptionally well with the pond’s environment. The title, Editing a Vapor Trail, is a great one, because the reader can get several meanings from it, and they’d all be true. Her poems are small contrail metaphors where the subject that once was obvious fades into something else less conspicuous, but just as present. Karen’s poems address revisions of memory, changes in history, alterations within the family and other subjects worth considering. It’ll be a little while before this blog actually begins. But it will. Too many projects right now to begin anything new, but I wanted to put this on the agenda.